TV celebrities make a lot of money, but how much exactly? And which celebrities are making (or have made) the most money? You might be surprised. 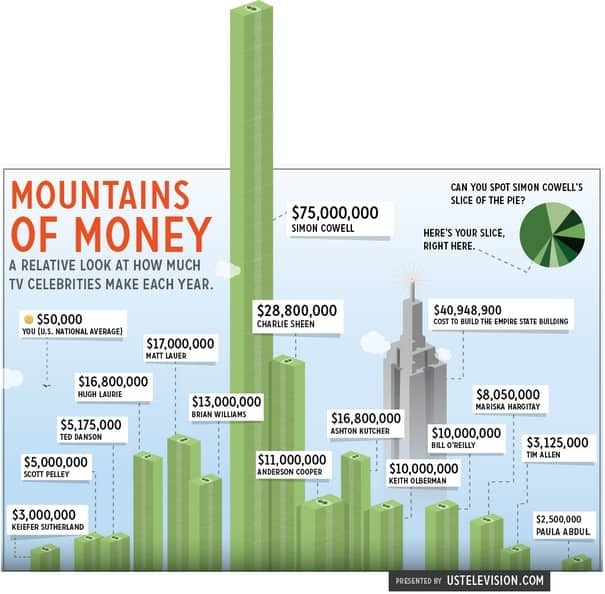 Take a look at this fun infographic we put together showing how much money TV celebrities are making and who is making the most (and who’s not). Just How Massive is Google?